If I had to define different groups of Porsche owners, I would probably place them in one of two groups: Enthusiast and Collectors. Enthusiasts are those of us that own at least one Porsche (possibly more than one) and drive it (or them) on a regular basis. We don’t think of our cars as investments and we don’t mind getting them dirty. In other words, no garage queens. That doesn’t mean we don’t take care of our cars and don’t know their value. We simply choose to use them as they were meant to be and do so on a regular basis. 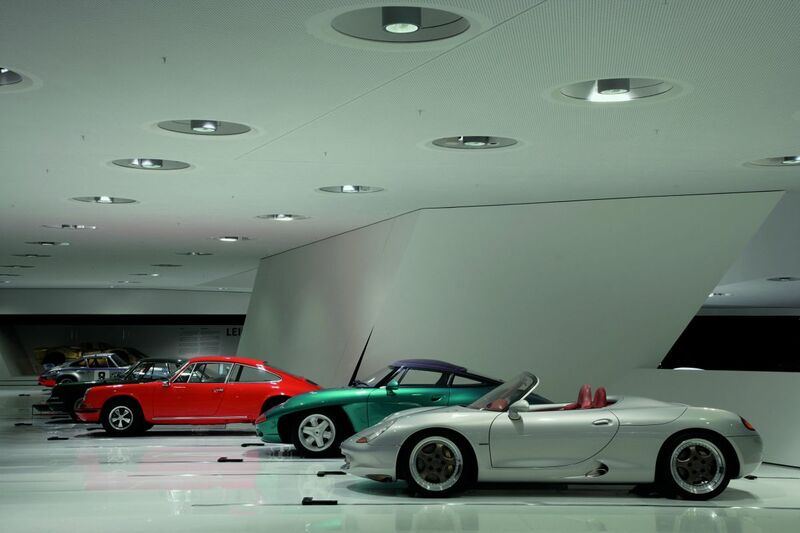 Collectors are people who view their Porsche purchase as both an investment as well as a rolling work of art. Your typical collector owns multiple Porsches, usually with lower than average miles, in above average condition and a provenance that is complete and without dispute. As these Porsches are investments they are not driven as much, or as hard, as an Enthusiast would do so. These Porsches are brought out for certain show events and an occasional jaunt to the local club to rotate out those flat spots. Other than that, they sit alone (but not neglected) with just the hum of a trickle charger to keep them company. Now I realize I’m oversimplifying things and generalizing to an extreme, but I think it gives you a good idea of how I differentiate between certain Porsche owners. Of course, there will always be those that can't be defined and some will fit squarely between these two groups. I'm sure we all know (or have heard of) someone with a collection we would all kill to own just one example from and who at the same time isn’t afraid to bring their beauty to the track or hand over the keys to the valet. I say this is the exception and not the rule. Regardless of what camp you fall in, Enthusiast or Collector, one thing is certain; Given the uncertainty around Porsche's future and today’s economic climate conditions, NOW IS PROBABLY THE BEST TIME YOU WILL EVER HAVE TO BUY YOUR NEXT PORSCHE! If you’re a true “purist” and the only Porsche for you is one that cools itself with oil air, then you’re in luck too. used Porsche 993s, considered by a large number to be the last true Porsche, are popping up at considerable cost savings from the recent past. While 993s have weathered the current financial storm better than most, Porsches that were selling in the high $50s to mid $60s, as little as 18 months ago, can now be had in the mid $40s to low $50s. Of course, exceptional cars, like this 1987 Porsche Turbo look Cabriolet, will always command a premium in any market. If you want to see some other great air-cooled examples, check out the used Porsches for sale at one of FlatSixes.com’s original sponsors Willhoit Enterprises. If you want a Porsche 911, but don’t have the $80,000 to $90,000 needed to get in to the newest Porsche 997, don’t worry, pre-owned Porsches are a great option. Probably one of the best deals available today is a used Porsche 996 (either the normally aspirated trim or the turbo). In some circles, the 996's reputation is less than favorable due to early model mechanical troubles having to do with faulty rear main seals (RMS) and less than stellar good looks (to some). However, the fact is, the newer 996s and even the older ones that have been mechanically vetted are fantastic Porsches. In fact, I’ve been thinking about a 996 Cabriolet as an addition to my own garage. I recently saw a 2004 Porsche 996 C4S Cabriolet, with very reasonable miles, in excellent condition in the mid $30’s. This very well could become my new daily driver. Older Porsche 996s, coupes and those closer to the base model can be had well into the low $20’s. Last, but not least, I can't forget to mention the Porsche Boxster. We're talking true Porsche performance and fun for as low as $10 to $15k for a used Porsche Boxster in good condition with complete mechanical service histories. For the first time in their 60+ year history Porsche is no longer independent. Is this a good thing? Will it help or hurt? It remains to be seen. With Wiedeking out and Piech in (no, I'm not forgetting about Macht) it is certain that Porsche as we have come to know it is changing. Between an uncertain corporate future and the current financial turmoil, buying a New or Used Porsche has never been more affordable. What say you, have any of you been lucky enough to score a great deal lately? Forget about a Porsche barn find, I'm talking a down-right, honest to goodness, Porsche bargains. Let me know. What Does Porsche have that’s Bigger and Faster than the Panamera? Pretty sure I qualify as an “enthusiast” not a collector. I enjoy the experience of driving a car that does’nt have GPS, stability control, anti-skid, etc. Of course here on little old Bainbridge Island we don’t have any roads where you can go faster than about 60mph without attracting the attention of the local gendarmerie. My little 912 with 100 hp was actually a pretty fun car. I agree that prices are low and really wonderful cars can be had for very reasonable prices. The nice thing about Porsches is that owners are frequently fanatical (who? ME?). I just picked up an 81 SC that has had easily 25K worth of work done on it, new engine, trans, all suspension bushings, bilstein, weltmeister, plus interior re-done including new dash, Recaros, and RS door panels… it cost less than a new Kia and drives like a brand new car! So those deals are out there if you know what to look for. John, prices have been crazy around Cincinnati — a local dealership was offering FULL LIFETIME powertrain and drivetrain warranties on any car purchased from their lot. They also had a Boxster Limited Edition (# 250/250) marked down well below the average price for your typical 08 Boxsters — needless to say, that one has disappeared. Ken, I hate to say it, but most 993s will be running strong when that 996C4S is clogging up a junkyard somewhere. The drop in materials quality and design that took place from 993 to 996 is the worst in modern automotive history, and I say that as the owner of both a 993 and a 986S. I would say of all used mainstream production Porsches on the market today, air-cooled or otherwise, the 993 seems to have held their value the best. Not sure where you justify the statement that “Air-cooled 993’s are vastly over-priced and vastly over-rated, they should be selling in the 20’s.” The market doesn’t lie and it says otherwise. Nah I never pick fights, I just end them. What I am saying is that the 993 is overpriced for a 10+ year old car in relation to say what a 5 year old car is selling for of the same model a 2004 C4S selling for less than 1995 C4S? That’s just crazy. 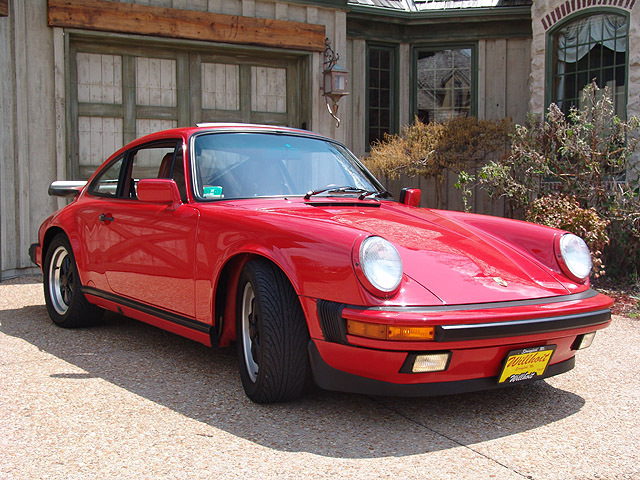 Until an older car becomes a collectible (which is what is starting to happen to the 70’s 911’s now that the cars should go down in a regular manner unless there is something special about the car. What has happened is that the 993’s remain artificially inflated because current 993 owners have convinced buyers that they are worth the price the 993 owners are asking when in fact they really aren’t. I’m not talking a Jawa figure painted with different color eyes of which there are only 5 out of 5 million for some rabid Star Wars collector I’m talking your run of the mill 993, the 964 is old but isn’t holding the price premium, the 996 is newer but isn’t holding the price premium, so why the 993? It’s all myth, smoke and mirrors. According to Porsche the 993 on a per unit basis has a WORSE service record than either the 996 or 997 that came after it, so it isn’t the number of times visiting the dealer’s service bay. It isn’t the power since the 996/997’s certainly have more, it isn’t the creature comforts again 996/997 has more, it isn’t the safety because again, the 996 and 997 are safer cars. Even the 996 with the same engine as the 993 (split case motor) has fallen drastically in price because it is a 996, even a GT3, even the Turbo, whcih again has the split case motor. If you want to nominate a Porsche owner to have taken it in the shorts I would nominate the first gen Cayenne Turbo owners, those things sold for $100-100K new and I’ve seen them in the 30’s now! OUCH! John you will be interested to know that my Lotus Esprit Turbo SE is now on sale. I loved the car, but I have to return to Porsche again. This time it will be a 993 C4S. I was toying with the idea of a 356 C or SC Coupe, but the prices here in Europe is a bit too precious for what you are getting. The 4S will be ideal for Switzerland, at least I can drive it in winter too. @Ken, you are probably right on most of what you say. For me it is a shape & size issue. Oh, and something called….character or “soul”. I have NEVER taken to the 996, the design was all wrong with that funny hump over the engine bay and the front lights. I predicted Porsche will return to round lights when they brought out the 996 and I was right! The 993 was the last of the smallish, original 911 shape. The 996 somehow has no soul. Here in Europe 996 are almost as common and abused as rep-cars or rental cars. They are treated with no respect. Maybe already then people were already aware there was an accounting monster in charge who was only interested in selling as many as possible soulless cars for profit! The 997 I have to admit fares a little better on the character / soul front. This may sound a bit etherial but either it has “it” or doesn’t, and will impact on sales and resale value. The same goes for the Cayenne; it simply has no soul or personality, except for being outstandingly ugly. This is why it has no resale value and will continue to haunt Porsche’s brand image for years to come. I am also irrationally aware that aircooled was in fact heavier and less-efficient than the 996 engine onwards, but there again it is a sound issue. Yes, that wonderful aircooled flat six sound is worth a heck of a lot to me! I think that owning both cars, or spending a few days with both of them, would change your mind. You’re correct on your points re: safety, power, and whatnot, but the fact is that the 1999 Porsche 996 is a dismal plastic piece of junk by Porsche standards, while the 1998 Porsche 993 was pretty much the apex of air-cooled Carreras. The 996 isn’t built well, the interior doesn’t satisfy, it looks like a Boxster (since Porsche had to flip the order of their introduction for financial reasons) and it has a time bomb mounted behind the rear axle. By 2001 the car was largely fixed but it’s still no 993. I would rather have a Carrera 3.2 than any normally-aspirated 996 and the used-market prices indicate that I’m not alone in that. Now, if you want to race one, better start with a water-cooled car, the spares are cheaper and the rebuilds are half price. When I bought my 996 I was searching high and low for the right 993 C4S. I found the very car, a 96, first year for C4S’ I think for 44k. It had low miles, was perfect, had already had a top end rebuild, and the guy needed money fast. So fast, that the seller sold it out from under me while I was at the bank cashing in some investment funds. I went back with the cash, and a guy in CO had already wired the funds into his account. I was so devastated I bought the very next car I looked at, which happened to be a 2000 996. My son had been telling me to drive one, but I was determined to have the last of the air cooled Porsches as I had been without a Pcar for 5 long years at that point in time, a record for me since my 18th brithday. Needless to say to anyone who has owned a 996, it is a great car, and while the 993 would still be worth close to what I would have paid 5 or 6 years ago, and the 996 has lost more than half its value, I am glad I bought the car. It has given me many 10s of thousands of fun filled and trouble free miles. Along the way I have bought 2 Boxsters, having sold the first 2.5 and replaced it with a 3.2 S version. I am currently having the 986S’ motor rebuilt into a 3.6 stroker by Jake Raby of flat6 innovations, and fully intend to keep it forever. I already have the hardtop, half a dozen sets of wheel and tire combinations, and enough spare parts to last out the rest of my enthusiast years before losing my sight, hearing, and control of my bodily functions, assuming of course I am lucky enough to live that long. I would truly love to take advantage of the low purchase prices of either a new 997, a used 996TT, or even an air cooled classic from any one era you can name. I already have, however, four Porsches to my credit, and it is very difficult to remain an enthusiast with respect to all four. The 996 and 986 get routine transportation duties, while my 911 SC Weissach edition, in need of quite a lot of work, gets worked out mostly in the fall and spring, as neither the AC nor the heater work with any sort of regularity. My wife’s 968 Cab is also a fantastic car, but the clutch is a bit too stiff for her to drive in daily traffic, so it falls to me to keep the fluids flowing, the battery charged with miles, rather than the trickle charger, and still, I can’t bring myself to seriously try selling any one of them, although I tell my wife regularly, I am trying to sell 2 of the four, and no one is buying. As long as I am sticking with that particular story, it will be very difficult to convince her I need to take advantage of the falling prices of used Porsches. Lord knows, I would never try and convince her to look the other way while I paid the price of a new one, though I still do dream of taking the option of possession of a new one on German soil, at least once a month. i don’t still love my SC, I certainly do, but I would drive my 996 across the entire country in style, comfort, and as fast as I dared. I can’t say that for many of the air cooled Porsches. With more than 100k miles, I can attest to its reliability as well. I’m sorry that you have to sell the Lotus, but I’m excited to see you come back into the fold!!!! I think you’re right, the C4S is an excellent choice given your location. Can’t wait to see the pics. You just can’t stop bashing… 🙂 Seriously, I think the lack of resale has more to do with production volume vs. looks, etc. @Ken, I think the same thing can be said for the 996 (along with all the other comments already made by others). Well, quite a bit of activity here today! Simply put, Porsche didn’t reach the pinnacle of their design with the 993. But as has been mentioned, it is the final refinement of the original car. I’ve spent a fair amount of time the past month with a 73.5 Targa I resurrected. Know what? If that’s all I could afford, it still functions quite well as a car. But back to the guy who thinks 993’s are overpriced. Well, let’s look at the spectrum. Decent SC is $12-15K. Decent 915 Carrera, add $1-2K. Decent G50 Carrera, add $1K. Decent early 964, add $3-4K. Decent late 964, add $1-2K. Decent 993……………..add $2-3K? So the wheelhouse for a respectable, presentable narrow body 993 is in the high 20’s. Right or wrong? 15 years old and worth about 1/3 of what it was new. Little stronger than most used cars, but not out of line. Then you get to the 996. Why HAS it dropped below its predecessor? Maybe because you can’t repair the major components? They go until they don’t go, and then you replace. It’s the sports car version of an appliance or other modern consumer good. Personally, that’s not my ideal ride for more than basic transportation. Ultimately, the market works very efficiently. God help us if/when the government wishes to meddle intrusively in auto repair. Wow, you guys in the USA are unbelieveably lucky with your prices. A used 2005 997 here with 50k miles on the clock is almost $200k plus another $10k stamp duty to register it. 1998 996 cabriolet with high mileage $90k plus $5k stamp. Hello and nice to meet everyone. I took the opportunity to say that I’m looking for a beautiful Porsche 993 Coupè 2 wheels Drive (the best porsche ever builted) with the right km nr° and in excellent conditions. Could you help me to keep in contact with potential sellers? Hi, Alberto and welcome to the site! Are you looking to import a car from the US or purchase one locally in Italy/Europe. If you’re looking to import one from the US, I would suggest you take a look at the sponsors of my site. TruSpeedMotorcars, Willhoit Enterprises and SloanCars are all known for their exceptional selection and quality of air-cooled 993s. If you’re looking in Europe, let me know and I can give you a few names. I bought an 05 Boxster S last Fall. It had 27K miles and and I paid $32K for it from a dealer. It came with the Porsche Certification so it’s covered until 100K miles (yeah, right) or 2 full years from when I bought it. It’s sticker price was $65k when new…lots of options including PSM, full/supple leather, auto climate control, 19″ Carara 2 wheels, bi-xenon head lamps, Bose surround sound, Atlas Grey paint and power/ heated seats. Oh, and it was a PCNA car! This is my second Porsche (first was an 84 911 Carara Cab) and I love everything about it! Living in Colorado makes it a 3/4 year car and it’s always great getting back behind the wheel after driving the Jeep. Smoking deal? Not sure, BUT a great value in my mind! @Sandy, we’re big believers in “perceived value” vs. “actual value”. In other words, if you are happy with the deal that’s all that matters!!! It sounds like a beautiful Porsche and we hope you enjoy it as much as possible!!! !